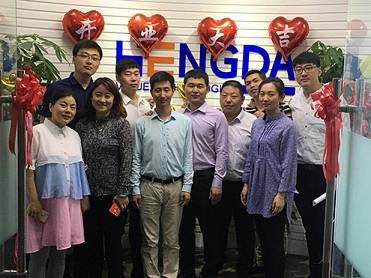 Gaizhou Hengda Chemicals Co., LTD.
Weifang Yuanfang Silicone Technology Co., LTD.
With about 180 employees, including 35 senior technicians. 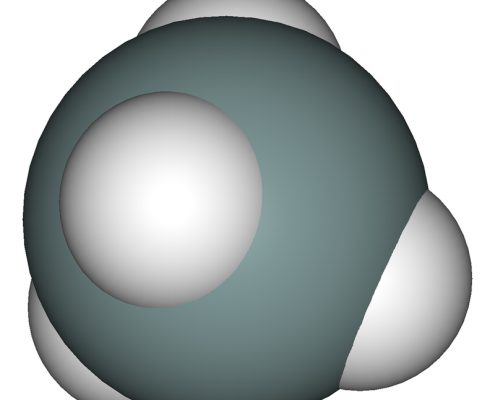 We provide professional silane product and technical support in different area of use. 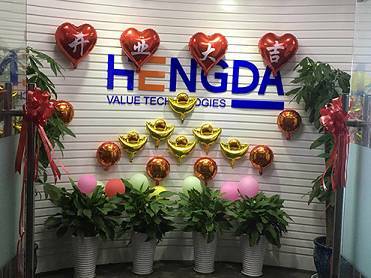 Qingdao Hengda Zhongcheng Technology Co., Ltd. Since 1965，We are the leading manufacturer of Silane Coupling Agents. In 2017, we reached annual sales of over 23 million dollars. Our products are sold throughout China and worldwide. We are grateful for our shareholders who encourage us to be professional, reliable and creative in silane chemistry. We have become better silane manufacturer and technical supplier for our valuable customers. 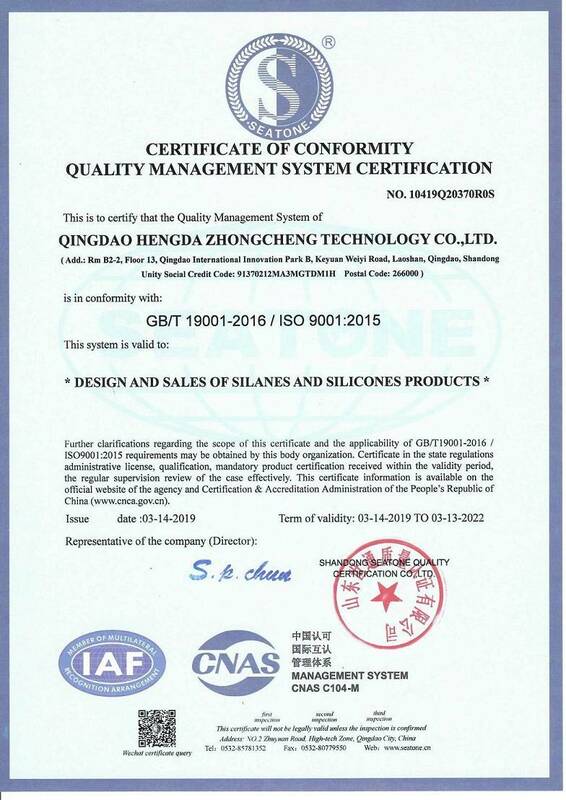 We are an ISO 9001:2008 & ISO14001:2004 registered company which confirms us to be a reliable supplier. Address:Rm B2-2, Floor 13th, Unit B, Qingdao International Innovation Park, Qingdao ,China. 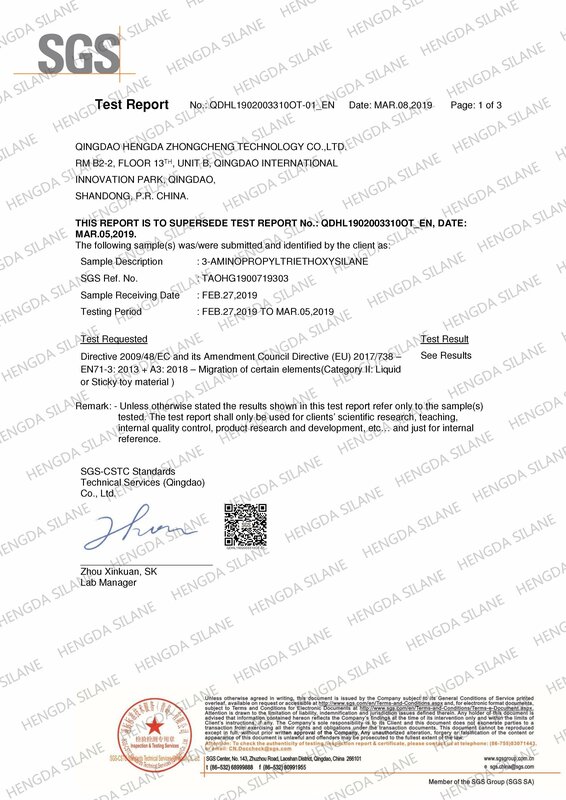 © Copyright - Manufacturer of Silane Coupling Agents-Qingdao Hengda Zhongcheng Technology Co., Ltd.